The term banking refers to the business activities of financial institutions engaged in safeguarding the deposits of individual customers, businesses, and institutions. The money deposited is offered to customers in the form of loans and other financial products. The aim is to earn profit. Banks are financial institutions that deal with money, accept deposits, offer withdrawal facilities, give advances, and extend loans. Unlike banks, credit unions are operated by their members and offer financial products at competitive interest rates. Banks, however, provide more products and services, designed for customers with high-powered portfolios. Money is a medium of exchange and something of value. Money has a long history – the practice of exchanging services and goods dates back to 10,000 years ago. Human exchanged cowrie shells, cattle, agricultural produce, etc. In fact, cowrie shells are the longest and most widely used form of currency. King of Lydia Croesus was the first ruler to order coins to be minted in 6th century BC. The coins were minted in pure silver and gold. Around 2000 BC, grain loans were offered to traders and merchants in Assyria. Gold was deposited and safeguarded in temples in Mesopotamia and Egypt while the priests offered loans in Babylon in 1800 BC. The first banks were established in Genoa, Venice, and Florence during the early and medieval Renaissance. In the 17th century, Venice was the first city to become a creditor of the government. This is when the concept of central banking was introduced. Central banks monitor the monetary system and policies of states, act as lenders, issue currency, and are responsible for the exchange reserves. They regulate economic growth by lending money to private banks and other entities. Central banks use interest rates to slow down economic growth and prevent inflation and over-heating. They can lower interest rates to shorten or prevent recession and stimulate growth. Fractional-reserve banking predates central banks and other centralized decision making bodies. This is a system under which only a fraction of the deposits made by customers are available for withdrawal. They use the remainder to offer loans or to make investments. This is a common practice whereby a percentage of the money deposited remains in banks. Financial institutions offer a selection of products such as savings and checking accounts, money orders, and wire transfers. Banks also offer debit cards that enable holders to withdraw funds and pay for services and goods. Savings accounts allow customers to earn interest and offer advantages such as better interest rates and liquidity compared to other products like checking accounts. The latter allow customers to deposit and withdraw money through electronic debit, ATMs, cheques, and so on. A cheque is a bill of exchange that orders money to be paid from the customer’s account. A draft is a type of cheque and a financial instrument for which the issuing institution guarantees payment. A money order is a payment order that is considered safer than cheques. A wire transfer is another method for transferring money electronically. Funds are transferred from one entity, institution, company, or person to another. They also offer products and services such as electronic funds transfer, certificates of deposit, overdraft protection, currency exchange, and credit cards and loans. Overdraft protection is a credit line that financial institutions offer to clients to cover overdrafts. 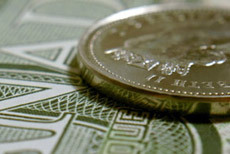 Currency exchange is a service that allows customers to buy and sell currencies. Banks feature foreign currency wire transfers that enable clients to transfer funds overseas. Financial institutions also offer business and mortgage loans, HELOCs, lines of credit, and personal loans. 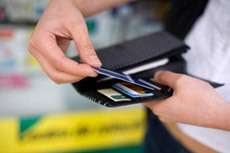 They also feature different types of credit cards such as secured, student, balance transfer, and rewards credit cards. These products and services are offered by major financial institutions in the U.S., including Bank of America Corp, J. P. Morgan Chase & Co, Wells Fargo & Company, and others. Other large establishments are Citigroup Inc, Bank of New York Mellon Corp., and Capital One. Retail, commercial, and investment banks feature a selection of financial services. Commercial banks are financial establishments that accept deposits and offer personal and business loans, mortgages, and investment solutions. They provide services to individual customers, companies, and institutions. They take relatively liquid, short-term deposits and offer long-term loans to make profits. Their services include cash management, custody and guarantees, trade finance, and credit cards. Most commercial banks operate as brick-and-mortar institutions with branches and offices, ATMs, vaults, and tellers. While commercial establishments offer standard financial products, investment banks specialize in security trading, asset management, and M&A advisory. These entities act on behalf of institutional clients, facilitate mergers, and offer equity securities and fixed income instruments. Investment banks act as intermediaries between investors and issuers of securities. A retail bank is another type of institution offering financial services such as credit and debit cards, personal and mortgage loans, and checking and savings accounts. They offer loans that allow clients to purchase consumer goods, cars, and homes. They also offer bill paying services and products such as certificates of deposit and transactional accounts. Banks operate on consumer markets and offer services to individual customers and medium-sized and small businesses. Most activities take place through virtual or online banking and ATMs. Similar to traditional banks, offshore entities offer services that help customers to grow and protect their wealth. The main difference is that offshore banks are located in tax havens or low-tax jurisdictions. They allow customers to deposit their money outside of their country of origin or residence. Deposits are kept in a secure location. Tax efficiency and choice of currency are the main benefits offshore acconts offer. Customers can choose from investment instruments, foreign exchange solutions, and savings accounts in different currencies. At the same time, offshore is associated with criminal activities, money laundering, and tax evasion. Experts estimate that over 1/3 of the institutional and private funds in the world are kept in Swiss banks. Unlike traditional, online banks allow individual and business customers to carry out their financial transactions online. Credit unions, financial companies, building societies, and banks allow customers to perform activities over the Internet. This is an umbrella term for different services that enable customers to view their checking account balances, pay bills, make mortgage payments, transfer funds, and buy investment instruments. Customers can view their deposits, which is money deposited in a money market, checking, or savings account. Private banking is a term that encompasses financial products and services offered to entrepreneurs and high net worth individuals and their families. They provide services such as specialized lending, discretionary asset management, execution services, and cash management. Private bankers keep their customers informed of market trends, corporate takeovers, and other industry fluctuations. Other services include wealth planning, tax and trust planning, and other fiduciary services. Private banks have experience and expertise in real estate investment, private and mutual equity funds, and structured products.